Answer a set of questions so that we can help you find a course that is relevant and perfect for you. In consideration of being allowed to participate in the activities and programs of the TERENCE LEWIS PROFFESIONAL TRAINING INSTITUTE, DIPLOMA IN DANCE FOUNDATION COURSE 2018, and to use its facilities in addition to the payment of Registration fees, I do herby waive , release and forever discharge the TERENCE LEWIS PROFFESIONAL TRAINING INSTITUTE instructors, employees , representative and assigns from any and all responsibilities or liabilities with respect to any injuries or damages resulting from my participation activities. I do also herby release all of those mentioned and any other acting upon their behalf from any responsibility or liability for any injury or damage to myself. I understand and am aware that dance is a physical skill based activity and requires strength, flexibility and that these activities involve risk of injuries, and that I am voluntarily participating in these activities with knowledge of the dangers involved. I do hereby further declare myself to be physically sound and suffering from no condition, impairment, disease, infirmity or other illness that would prevent my participation. I do hereby acknowledge that I have been informed of the need for a physician’s approval for my participation in the dance activity of DIPLOMA IN DANCE FOUNDATION COURSE , I acknowledge that I have either had a physical examination and been given my physician’s permission to participate, or that I have decided to participate in the dance activity of DIPLOMA IN DANCE FOUNDATION COURSE, without the approval of my physician and do hereby assume all responsibility for my participation and activities. I hereby understand fees once paid shall not be refunded or transferred under any circumstances. I also hereby understand that TERENCE LEWIS PROFFESIONAL TRAINING INSTITUTE representatives shall not be held responsible for any loss of belongings, or valuables at respective venues. Classes unless cancelled by TLPTI office will not be made up or adjusted for the students. In case class is cancelled due to a natural calamity or uncontrollable events, the office for TLPTI may not be able to inform all students regarding cancellation class. Kindly contact the office in such a situation for status of class (022- 26325041/5620). In case of insufficient registration for any batch of DIPLOMA IN DANCE FOUNDATION COURSE the TLPTI office holds the authority towards cancellation of the batch, in which case the student will be refunded within two weeks. In consideration of being allowed to participate in the activities and programs of the TERENCE LEWIS PROFFESIONAL TRAINING INSTITUTE, DANCE PE LO CHANCE 2018, and to use its facilities in addition to the payment of Registration fees, I do herby waive , release and forever discharge the TERENCE LEWIS PROFFESIONAL TRAINING INSTITUTE instructors, employees , representative and assigns from any and all responsibilities or liabilities with respect to any injuries or damages resulting from my participation activities. I do also herby release all of those mentioned and any other acting upon their behalf from any responsibility or liability for any injury or damage to myself. I understand and am aware that the dance is a physical skill based activity and requires strength , flexibility and that these activities involve risk of injuries , and that I am voluntarily participating in these activities with knowledge of the dangers involved. In case class is cancelled due to a natural calamity or uncontrollable events, the office for TLPTI may not be able to inform all the students regarding cancellations of the class. Kindly contact the office in such a situation for status of class (022- 26325041/5620). In case of insufficient registration for DANCE PE LO CHANCE 2018 the TLPTI office holds the authority towards cancellation of DANCE PE LO CHANCE 2018, in which case the student will be refunded within two weeks. With the aim of providing dance as a serious career option, the Diploma in Dance Foundation Course (DIDFC) is a 12 month long, intensive training ground, creating well rounded professionals in the dance field. DIDFC Perormance: After the course, showcasing the student's dance and choreography talent. Empowers Students to become entrepreneurs in dance. A priority chance to perform with the TLCDC (Terence Lewis Contemporary Dance Company), based on performance and selection. The Young Masters’ Program is an accelerated course for youngsters who aspire to, and have the potential for, a professional dance career. - Training in multiple dance techniques and performance skills! - A one of its kind 3 year Course, LEARN & EARN! It's a chance you gotta take!! Always had the passion for Dance? Looking for the right school to train systematically? If you want to up your game in Dance and give yourself the much needed confidence, then India's most reputed and premier, 20 year old Dance Institute - the TLPTI is exactly for you! A perfect mix of Technique and Super Fun! All styles will start with simple basics and the level will be taken up gradually every week. Studying? Or Working?...From out of Mumbai?..... DPLC is the course for you! 90% of our students have been from other cities all over India! Learn cool choreography routines on the latest hip hop n Bollywood chart busters every week! Learn from the best Instructors in the country! An exclusive chance to perform before Master Terence Lewis! - in a course end Presentation, mentored personally by your instructors. The PSP - the Performance Scholarship Program- to train and perform with the highly reputed TLCDC - Terence Lewis Contemporary Dance Company. 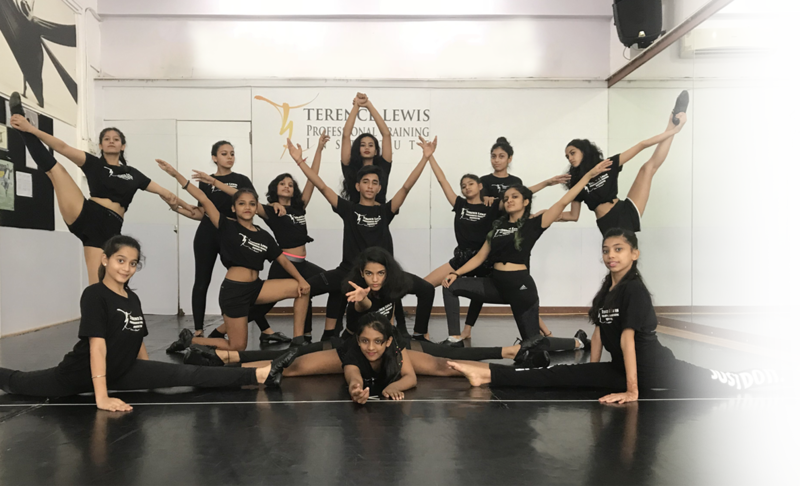 All our class Videos will get featured on our official insta terencelewisdance page and FB pages which have a following of 2.5 million subscribers!! Terence Lewis SIR’s personal Official’s insta page will also feature class videos from time to time. Rs 500 ONLY per hour! Hurry....Limited Seats ..Sign up now! _DPLC - a chance you just can't miss!